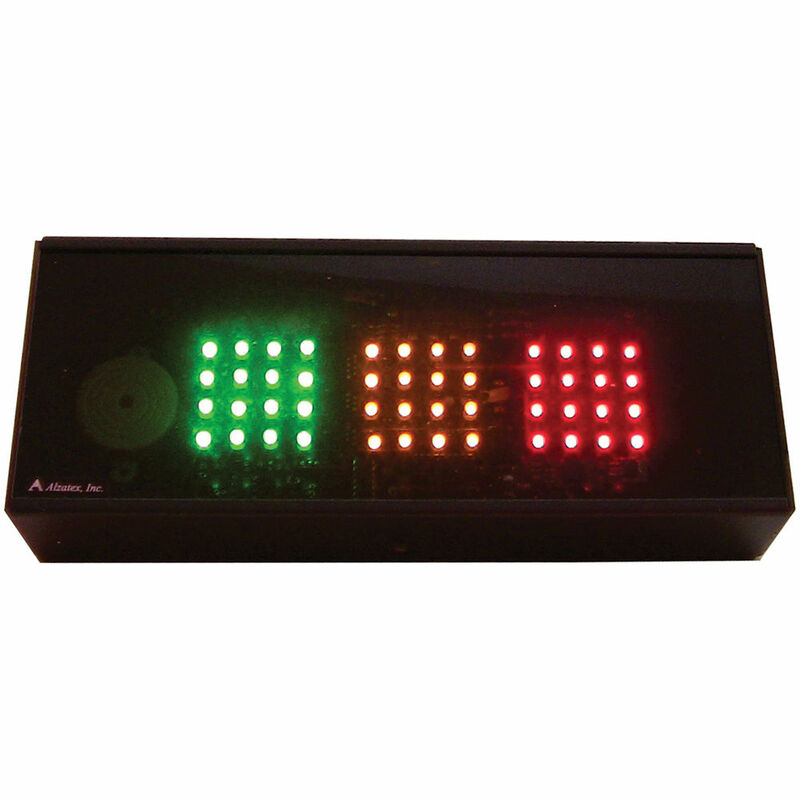 The black RYG200AB Large Red-Yellow-Green Indicator from Alzatex Inc. is equipped with 2 x 2" LED clusters. It supports manual controlled input, which is controlled by ground closure or external buttons and loud beeper. This unit comes in a metal enclosure. This Electronic Digital timer unit consists of red, yellow, and green indicator lights. It is designed to be connected to the TimeKeeper series Electronic Digital Timers using a standard modular phone cord and complements Alzatex Inc. counters, timers, and displays.